Human Resource management is one of the challenging tasks in an organization as it caters to the needs of the most invaluable assets of an organization. Only a satisfied and motivated employee can efficiently process the task and make it productive towards company growth and expansion. With the advent of globalization and diversified workforce, the human resource management of today got multiplied themselves with challenges as it needs to cater towards the diversified range of applications and processing requests. There are many essentialities and challenges that a human resource department of an organization goes through. Finding out the right talent and retaining them for a long run is the first and foremost challenge of any HR professional. Finding the suitable candidates from the large set of applications turns tedious if it’s not carried in a proper and structured format. The time to time selection procedures and fulfilling the job requirements demands utmost time and critical ability from HR professionals. Secondly, maintaining the positive environment between employee and management. It is an important function of the HR professional to maintain the balance between an employee and management by upholding the interest of both parties. It is the role of HR to assure the profitability of any company by inducing hard work, commitment, cooperation and loyalty from the side of employees and also the safeguarding the employee welfare from the side of management by inducing them into the execution of welfare and allowances packages towards the company employees. An HR should constantly work upon the healthy working conditions, training and career development of the employee and also ensuring the employee participation. Performance Appraisal should be a routine task of the HR professional to keep the employee motivated and committed. Also dealing with legal compliance like the trade union, cases of harassment and discrimination comes under the jurisdiction of a responsible HR professional. All the above tasks demand an efficient, highly structured and professional route of approach. A single person cannot efficiently and effectively manage every task bringing across qualitative outputs. And here comes the role of an efficient Human Resource system that helps in an efficient transaction of human resource processing in an organization. Benefits of investing in an efficient and highly sophisticated HR system is plenty and abundant in the count. The technology can streamline any HR related tasks making it more structured and productive in action. With the right understanding of the company needs, objectives, their workflow, and budget, one can implement the best HR system for executing the company needs. The right knowledge of company needs can only help in better utilization of HR resources and the application set for the same. 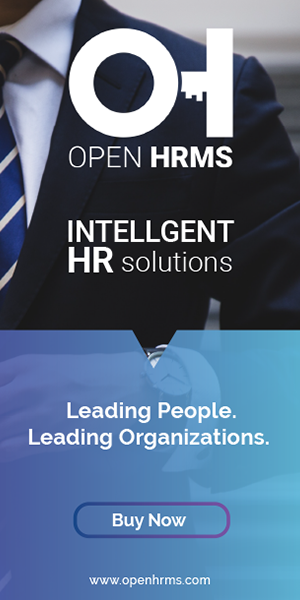 Here are the benefits one can draw out of implementing an HR system for your organization. Firstly the company can make sufficient improvements in the current challenging aspects. Secondly, with an HR system, an organization can automate every business process happening internal and thirdly the real-time data that the interactive HR system provides can be efficiently utilized for better decision making within the management and employee. With the investment of technology in the Human resourcing activities, the company can add cost to the organization in many ways. This start from the recruiting of the right and suitable talents to the company, retaining them for a longer period, helping to improve the efficiency of your workforce via providing them with real-time and necessary resources and also keeping them motivated and commitment by taking care of their salary and other monitory and personal benefits. An HR system thus can trigger innovative functionality among the employees enabling them to work more efficient and secured. If an HR system is smartly applied, the company can seamlessly draw both economic and strategic benefits in the market. With improved productivity and efficiency of the workforce, the company is assured with profitability. Secondly, the automation of administrative tasks saves resources as it shifts the focus from mundane activities to the more strategic utilization of employee workforce, thirdly a transparent communication via proper channel initiated by the HR system reduces data redundancy saving time and cost to the company. With an HR system, one can notify the employees with timely reminders and notifications. Also with a robust HR system, one can easily visualize the trend and cost involved in various activities. In nutshell, the following are the benefits a company can avail out of investing in an HR system. A comprehensive Information database that can store, track and provide easy access to critical information of the employees. A database that eliminates or significantly reduces the risk of conventional bookkeeping via digitalizing and automating company documents. An efficient payroll management that looks after the employee working hours and other payment changes. It helps in scheduling or directing the employee to the right resources. Directs for a self-service action among the employees via exposing them to make self- amendments on their information, submission of requests, and communication with peers or higher authorities making the working environment engaging, convenient and timeless. Regular performance appraisal expanding the scope and effectiveness of better work culture. With HR system, managers can easily tap the employee information and fill the appraisal without much paperwork.